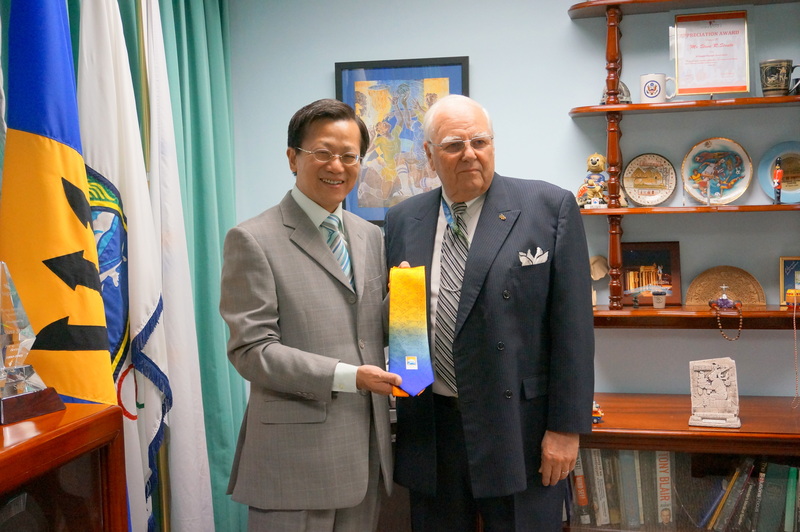 The Road to Nanjing – Barbados Olympic Association Inc.
Bridgetown, April 12, 2013 – The Barbados Olympic Association (BOA) received an official visit from the Chinese Ambassador to Barbados, H.E. Mr. Xu Hong, on Tuesday. The Chinese contingent, comprising Ambassador Hong, Mr. Wu Gangchen, Economic and Commercial Counsellor, Mr. Niu Zhikang, Attaché and Mr. Yang Lianchun, First Secretary, met with Mr. Steve Stoute, President of the BOA and Mr. Glyne Clarke, General Manager of the BOA, to discuss a wide range of topics, including sport in Barbados, the Olympic movement and preparations for the 2014 Youth Olympic Games in Nanjing, China. Ambassador Hong praised the BOA for its efforts and commended the Association for its designation as an official International Olympic Committee (IOC) training centre, the only one in the Caribbean. The BOA has done very valuable work and we hope that through our respective Governments, we can cooperate with you and assist with future endeavours. Mr. Wu Gangchen confirmed their willingness to assist, explaining that the Chinese Government has provided support for numerous economic, social and cultural projects in many different countries. 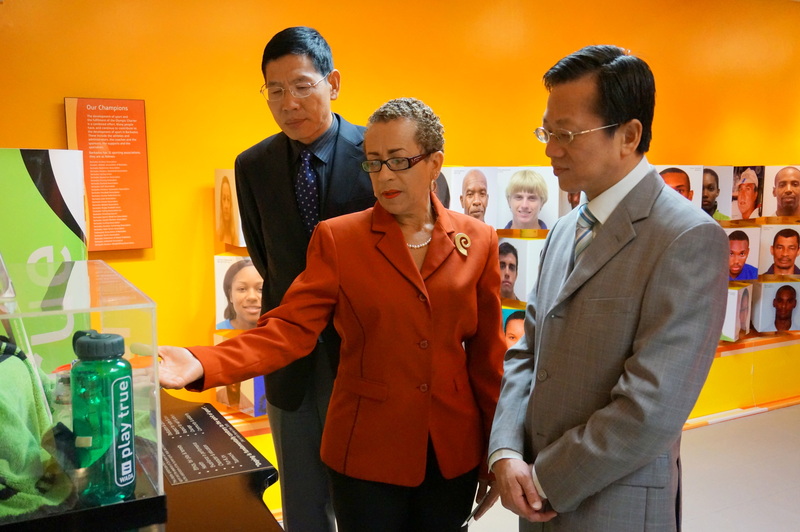 Ambassador Hong was also introduced to Tessa Chadderton-Shaw, Regional Administrator of the Caribbean Regional Anti-Doping Organisation (RADO), and they discussed the importance of education and testing in tackling drug use in sports. Following the tour Stoute presented the Ambassador with a commemorative BOA tie and thanked him once again for visiting the BOA.